Herbs. So underrated. Their potent flavors liven up any dish graced with their fresh crispness or dry, crumbly comfort. And your immune system rejoices when garnering their support. Perfect for the Fall and Winter seasons when we face an onslaught of viruses, bacteria, and other would-be invaders. Here, I’ve highlighted just a few of the amazing healing herbs you should have in your pantry plus some easy tips and tricks for using them in everyday dishes. These herbs are easy to find and easy to use. They are all antioxidant powerhouses with dozens of beneficial phytonutrients (plant-based nutrients). And, remember: herbs are potent. Just because they’re good for you doesn’t mean you need to or should eat a lot of them. Typical serving sizes are anywhere from 1/2 – 3 TBS of fresh herbs or 1/2 – 2 tsp of dry herbs, depending on taste. Just like with any food (“healthy” or not), moderation is key. Here, I’m referring to herbs that you can eat as part of meals, not special herbal oils or medicinal preparations, which may require you to get personalized advice from an herbal expert (for example, parsley oil can be used to induce labor, which you certainly don’t want to do if you’re otherwise healthfully pregnant). From the same family as carrots, celery, and fennel, parsley is a versatile herb that usually gets dismissed as a garnish. It’s one of my personal favorites and I always have a little “parsley tree” sitting in my fridge, with the stems submersed in a cup of water to keep it vibrant. Parsley contains one of the highest levels of chlorophyll of any edible plant. Chlorophyll is a breath freshener and a fantastic blood purifier. Parsley is a digestive aid, can help dry up mucous-y conditions and helps in the treatment of ear infections and earaches. It contains several times the vitamin C content of citrus and has high levels of provitamin A, calcium, magnesium, and iron. It can work as a diuretic, though, so be sure to drink plenty of fluids if you are down with the flu or a cold. Apart from being a fantastic herb to cook with, thyme is a natural antiseptic that has antibacterial and antiparasitic properties. It also has antispasmodic tendencies; coupled as a digestive aid, it can help soothe gastrointestinal distress. It can also loosen phlegm as an expectorant, in case you’re feeling somewhat mucous-y and don’t have parsley on hand. Delicate dill is a digestive aid and infection fighter as an antibacterial. Also known as a calming agent, along with basil. Similar to thyme, oregano is an expectorant and digestive aid, as well as an antimicrobial (antibacterial, antiviral, antiparasitic, antifungal) herb. It’s also been used in traditional Chinese medicine to treat fever, vomiting, and diarrhea. If you’re not pregnant or on blood-thinners or other medications, you can try a simple tea like the one I like to make if my system feels a bit rundown: fill an empty teabag (you can get them at almost any coffee shop or grocery store) with 1 tsp of dried oregano and steep it 3-5 minutes for a refreshing, warming tea, up to three cups a day. Don’t do this more than 2-3 times a week, just to be on the safe side. I repeat: this is not conducive for a daily tea habit. A helpful decongestant and antimicrobial, and powerful antioxidant used since the good ol’ times to preserve meat and keep it from spoiling, along with thyme (now, that’s a powerful antioxidant!). You can prepare Rosemary as a tea to help with digestive issues or as a decongestant – refer to the Oregano example. Not surprisingly, the source of mint’s lovely aroma is also the source of many of its many healing properties: the oil called menthol. 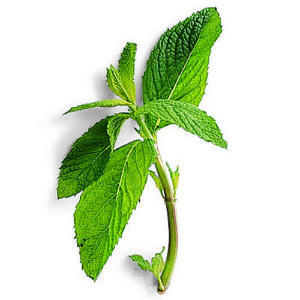 Mint has been shown to kill the herpes simplex virus and is a proven antibacterial as well as decongestant, anesthetic, digestive aid, and muscle antispasmodic. Peppermint tea is a fantastic treat any time of day, although pregnant women should only drink the tea brewed very weakly, as the antispasmodic properties could relax the lining of the uterus. Basil, oh, basil, how I love thee. Let me count the ways: you’re an antimicrobial (anti-bacterial/viral/fungal/parasitic), fever reducer, concentration improver, immune system regulator, adrenal (stress hormone) regulator, and just plain delicious. One of my favorite teas (as any client of mine who has rummaged in my tea drawer knows) is Holy Basil, or Tulsi, tea. A brand called Organic India makes a good one. Try it out. So, run out and stock up on these green herbs that belong in your Fall / Winter pantry. Fresh or dry, doesn’t matter. But it’s fun to use both, as they lend themselves to different preparations and flavor profiles in foods. The fresh herbs are delicate, so rather than cook with them, fold them into cooked meals right before serving, or sprinkle the finely chopped herb on top before serving, such as on top of grains, soup, or stews, or make a fresh herb salad and add in other favorite ingredients. Fresh herbs will last up to a week. Store fresh parsley, rosemary, oregano, and dill like I do – with their stems in water. I set them in a tumbler on the side ledge of my fridge and they flourish there all week long, reminding me to tear off a handful every time I open the fridge door. For mint and basil, wrap them up in a dry paper towel (or just wet the ends of the towel near the stems’ ends) and store in the veggie bin away from light and direct blasts of cold air in the fridge. The dry herbs, if stored properly away from heat and light, will last you quite a while, and are fantastic as teas, meat or poultry rubs, for flavoring stews and soups while cooking, sprinkled on top of grains with maybe some sesame seeds, and in salad dressings. And you can always dehydrate fresh herbs to make your own dry herbs. Just lay them out on a clean, dry towel, in direct sunlight if possible, until they are completely dried up, then crumble up and store in a cleaned, reused herb bottle, preferably glass. Remember those summer days that seemed to last forever when you were a kid? When you’d forget to eat or had not a care in the world because you were having such a great time doing other things? When you’re living your days with abandon and savoring each delicious detail, recreating this type of flow is easy. You’ll feel and be healthier, more positive, and more resilient against the ups and downs of your life. After a super hectic year, I’ve been having a slow summer and invite you to craft one for yourself as well. Busy? You don’t need a lot of time. When you see a puppy, pet it. When you feel overwhelmed, remember that you are not THAT important – the world will go on without your deadline being met. Savor your favorite cup of tea by tearing your eyes away from the monitor and closing them for a few seconds as you take a sip. These are the details that make up your life. As a recovering Type A and perfectionist, I am constantly monitoring and countering my natural tendencies to overthink, overwork, and overdo my workaholism (it’s hard when you love your work so much). I know many of you can relate to these tendencies, as super overachievers yourselves. The past four weeks have produced some of my most successful counter-strategies to date =). Here are some of the ways I chose to get slow this summer. 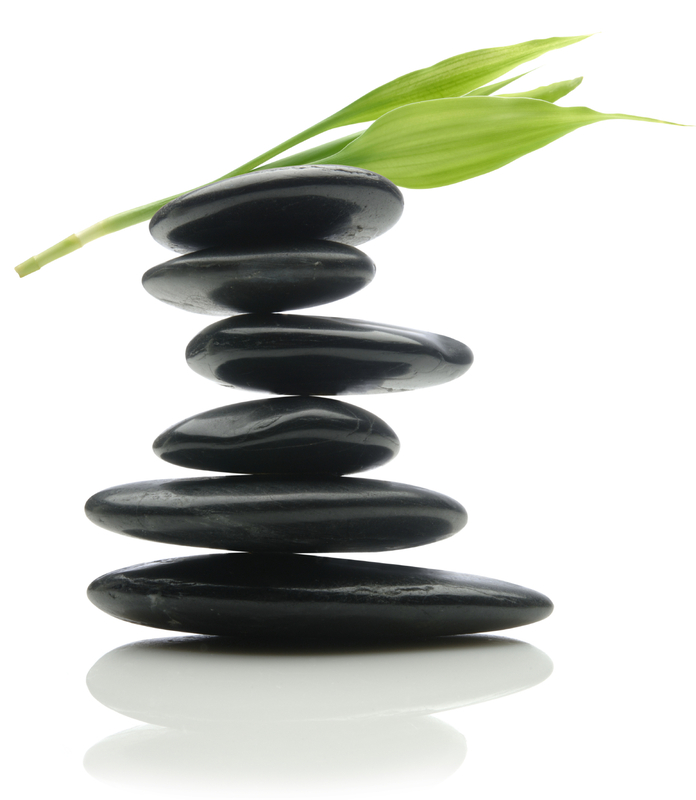 Do any of these inspire you to find your own busy-life-counter-strategies? Checking email only 1-3 times a week. Listening to crickets and petting puppies. Not watching any TV. Definitely not watching the news. Spending tons of quality time with my family and my love, Andy. 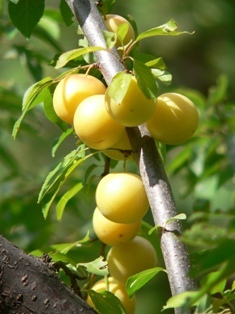 Wild golden plums. A couple made it into my happy tummy! 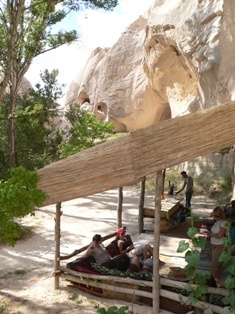 Taking a break in the shade of a makeshift cafe in the middle of nowhere. Gotta love entrepreneurs. Celebrating my brother’s farewell to bachelordom and welcoming an AWESOME new sister-in-law. Taking long showers (much to the chagrin of my father). Reconnecting with old friends over tea, walks, and more great food. Sifting through family heirlooms and enjoying the honor of wearing my grandmother’s antique ring and watch to my brother’s wedding. Marinating on new business ideas and the age-old question: What do I want to be when I grow up? Being quiet with myself, by myself, for myself. Getting a massage. After the sauna. Reading trivial and monumental books alike. Appreciating history as well as the blip that is our own lifetime. I admit, it’s easy to slow down on vacation or during the warmer days of summer that seem to lull your body into a slower state. But how about when you get back to real life? As I mull over what shape I want my work to take this coming year, I need to keep reminding myself that my work is but one part, one slice, of my life (I said I was “recovering,” didn’t I?). A lot of us seem to define ourselves by our work. We use words like “lazy” and “free time” to define the time that we don’t spend working. Isn’t that awful? What woke me up to this tendency in myself was when I found myself writing to-do lists consisting of the items “Brush teeth” and “Eat” when I was too ill to do much else but sleep 20+ hours a day. I felt guilty because I couldn’t DO anything, because I was “useless” and “not productive” and this was my subconscious trying to make it right. It was many months later when I realized I was doing a lot during this time – my body was working hard to heal years of stress and the self-inflicted abuse that workaholism brings, teaching me how to rest, and teaching me how to just be. Each slice of your life should be defined on its own terms, not by what it isn’t. The way I describe this to my clients is to stop defining your life as “work” and “not-work”, and start identifying distinct slices / buckets / categories of activities that you enjoy doing and want to bring (back?) into your life. Make time for these. Without feeling guilty. Or if you do feel guilty, listen to where this is coming from and see how you can learn from that source. Later, as you wean off of the belief that work defines who you are, your life will flow better and you won’t need such distinct rules to ensure your life is fuller, richer, and deliciously healthier. As for me, I know I want to learn yoga, take hikes more regularly, take more daytrips around the beautiful San Francisco Bay Area, learn how to prepare more Turkish recipes as an homage to my heritage, host the dinner parties I keep promising to friends, and find that elusive new hobby that Andy has been telling me I need. 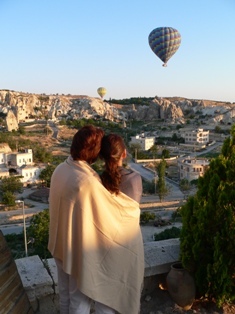 There’s a joke in Turkish about the man who married his mistress and how that left a vacancy. Well, my current work used to be my hobby, my mistress. Now I’m married to my ex-mistress and I need a new mistress!